MILTON, September 11, 2018 – Over $2 million in purses will be up for grabs on a stakes-filled program this Saturday at Woodbine Mohawk Park. The $665,000 Canadian Trotting Classic for three-year-olds is the evening’s richest event and one of eight stakes races (four finals, four eliminations) on the card. The $400,000 William Wellwood Memorial (two-year-old trotters), $385,000 Peaceful Way (two-year-old filly trotters) and $340,000 Elegantimage (three-year-old filly trotters) complete the quartet of rich finals. The eliminations for the Metro Pace (two-year-old pacers) and Shes A Great Lady (two-year-old fillies) will also be contested with each event requiring two eliminations. Adding to the stacked program, Lazarus N, ‘The Wonder from Down Under’, will compete for just the third-time in North American and first-time since finishing second in the Canadian Pacing Derby. 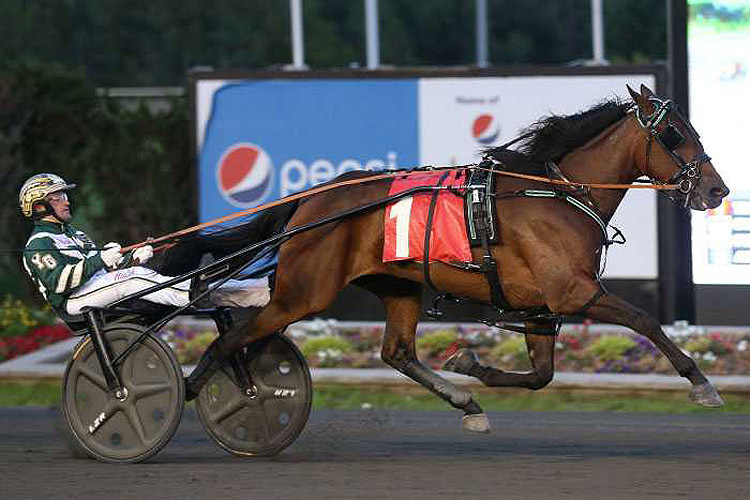 The Jimmy Takter trained six-year-old is entered in the $34,000 Preferred. A total of 13-races will take place on Saturday’s $2 million card. Here is a look at the feature events. A field of 11 sophomore trotters will clash in Canada’s richest trotting event of 2018. Crystal Fashion (PP10, Tim Tetrick) and Mets Hall (PP2, Andy Miller) lead the field in earners with each having banked over $800,000. Trained by Jim Campbell, Crystal Fashion captured the $253,000 Pennsylvania Sires Stakes (PASS) Championship in his last outing on September 2. The gelded son of Cantab Hall has won seven of his last eight starts with his only loss during the run begin a fourth-place finish in the $1 million Hambletonian final. Mets Hall comes into the Trotting Classic on a two-race win streak with victories in the $169,183 Simcoe on September 1 at Mohawk Park and $350,000 Zweig Memorial on August 17 at Vernon. 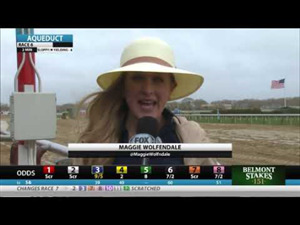 The Julie Miller trainee is three for seven on the season. The overflow field for Saturday’s rich event also includes last season’s O’Brien Award winner Alarm Detector (PP6, Trevor Henry) and Breeders Crown champion Fiftydallarbill (PP8, Brett Miller). Trainers Ben Baillargeon and Jimmy Takter will each send out a pair of starters. Alarm Detector joins Ontario Sires Stakes standout Run Director (PP7, Sylvain Filion) to make up the Baillargeon duo, while Takter’s duo consists of last year’s rookie sensation You Know You Do (PP3, Yannick Gingras) and Italian-bred Zephyr Kronos (PP11, Takter). The Canadian Trotting Classic is carded as Race 7 and post time is approximately 9:31 p.m.
Arguably the most-anticipated race of the evening, the Elegantimage for three-year-old trotting fillies is round-two in the Atlanta vs. Manchego rivalry. The Hambletonian champion Atlanta (PP6, Scott Zeron) and Oaks champion Manchego (PP2, Gingras) met for the first-time this season on August 24 at Mohawk Park in the Casual Breeze. Takter trainee Manchego came out on top in their first-meeting, improving her 2018 record to six wins in nine starts. Rick Zeron trained Atlanta finished second in the Casual Breeze and currently sports a record of six wins and two runner-up finishes in eight starts this season. Manchego and Atlanta finished more than 10 lengths ahead of the third-place finisher in the Casual Breeze, but that likely won’t happen again Saturday. Trond Smedshammer trainee Phaetosive (PP1, Smedshammer) joins the mix for the Elegantimage and comes in off a victory in the PASS Championship. The daughter of Explosive Matter is five for seven this season and finished second to Manchego in the $500,000 Hambletonian Oaks. No eliminations were required for the Elegantimage, as only the connections of four other trotting fillies were brave enough to tackle the star fillies. The Elegantimage is carded as Race 10 with an approximate post time of 10:40 p.m.
Marcus Melander trainee Green Manalishi S posted an impressive elimination victory last Saturday and will likely be the morning-line choice in Canada’s richest race for two-year-old trotters. A son of Muscle Hill, Green Manalishi (PP3, Tetrick) was a 1:54.4 gate-to-wire winner in his elimination. The Melander trainee improved to three for five with the career-best score. His richest payday to this point was a runner-up finish in the $422,350 Peter Haughton Memorial on August 4 at The Meadowlands. Domenico Cecere trainee Union Forces (PP4, Scott Zeron) pulled off a 33-1 upset victory in last Saturday’s other elimination. The son of Cantab Hall converted off a two-hole trip to power by the previously undefeated Swandre The Giant in 1:55.3. Union Forces is one of two Cecere trainees competing in the Wellwood final. Kings County (PP8, David Miller) finished second to Green Manalishi S in his elimination, which came on the heels of a Champlain Stakes score. All the hype heading into the Wellwood eliminations was focused on Swandre The Giant (PP7, Gingras), who was debuting for new connections and trainer Takter following a private purchase, reported to be in the “seven-digits” range. 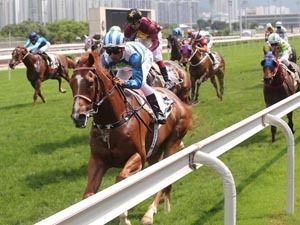 The son of Swan For All surrendered the lead in the lane and finished second for the first-loss of his career. The William Wellwood Memorial is carded as Race 5 and post time is approximately 8:46 p.m. Elimination winners The Ice Dutchess (PP3, Gingras) and Sisters Promise (PP4, Tetrick) lead the field of 10 rookie trotting fillies for the Peaceful Way. Takter trainee The Ice Dutchess got back on track in her elimination after making back-to-back breaks. The daughter of Muscle Hill was competing for the first-time in a wagering event with trotting hopples and made no mistakes for a 1:55.4 score. The Ice Dutchess will be searching for another rich victory on Saturday to go with her win in the $357,450 Jim Doherty Memorial on August 4. Linda Toscano trainee Sisters Promise also won her elimination in 1:55.4. The daughter of Father Patrick came first-up and muscled by Takter trainee Susy (PP2, Takter) for her second win in four starts. The Peaceful Way is carded as Race 3 and post time is approximately 8:05 p.m. This year’s Metro Pace has attracted 17 rookie pacing colts and geldings. The group of 17 have been split into a pair of $40,000 eliminations with the top-five finishers from each advancing to the final on September 22. This year’s Metro Pace final will go for a purse of $890,000, the highest purse for the event since 2012. The first split is headlined by Casie Coleman trainee Stag Party (PP6, Miller), who suffered a surprising defeat in last Friday’s Champlain Stakes. 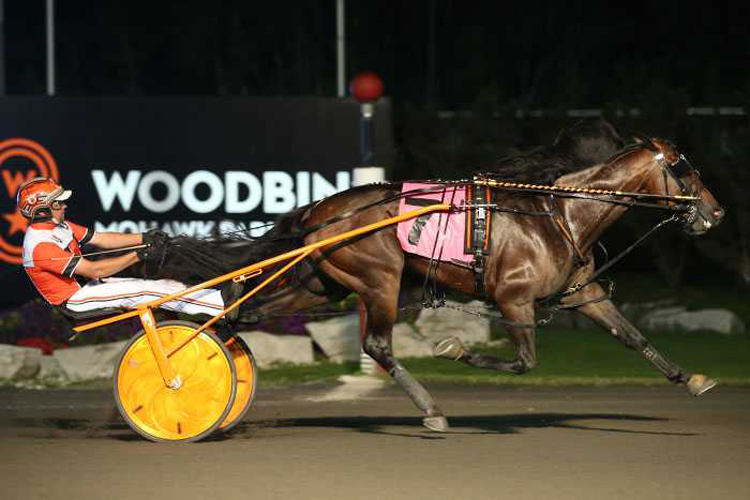 A son of Bettors Delight, Stag Party is four for six on the season and has multiple Ontario Sires Stakes Gold victories, a Grand Circuit win and a Canadian Record to his name. His loss in the Champlain was the first-time another horse beat him to the wire, as his only other loss came via disqualification. Cruise Captain, who beat Stag Party in the Champlain, will also line up in the first-split. The Victor Puddy trained son of Captaintreacherous had been battling in PASS most of the summer before coming back to Mohawk Park and breaking his maiden in the Champlain. The second Metro elimination will feature a showdown between Captaintreacherous colts Captain Ahab (PP5, Andrew McCarthy) and De Los Cielos Deo (PP8, Gingras). Tony Alagna trainee Captain Ahab is a perfect six for six entering his elimination with his most recent victories coming in the Champlain and Nassagaweya Stakes. A $100,000 Lexington Selected Yearling Sale purchase, ‘Ahab’ has made four of his six starts at Mohawk Park. Ron Burke trainee De Los Cielos Deo started his career five for five before finishing second in the PASS Championship on September 1. A $140,000 Lexington Selected Yearling Sale purchase, De Los Cielos Deo will be making his first start outside Pennsylvania. The Metro Pace eliminations have been carded as Races 1 and 2. Post time for the eliminations is approximately 7:25 p.m. and 7:45 p.m.
A competitive group of 19 rookie pacing fillies will battle in a pair of $35,000 eliminations Saturday to qualify for the $590,000 Shes A Great Lady final on September 22. The Alagna stable sends out the strong duo of Captaintreacherous fillies Treacherous Reign (PP2, McCarthy) and Key West (PP10, Brett Miller) in the first split. Treacherous Reign will be making her Mohawk Park debut and enters off a fourth-place finish in the PASS Championship on September 1. The $50,000 Lexington Selected purchase is four for six and holds an impressive mark of 1:51.1. Key West will be making her fifth consecutive start at Mohawk Park. The $130,000 Lexington Selected buy is three for six and has Grand Circuit victories in a division of the Kindergarten and Eternal Camnation. Her most recent start was a fourth-place finish in last Friday’s Champlain, which marked the first-time she didn’t finish in the top-two. The first elimination also features Queen Of The Pride (PP5, David Miller), who returns to Mohawk Park off a victory in last Saturday’s Ohio Sires Stakes Championship at Scioto Downs for trainer Kevin Lare. Her last visit to Mohawk Park was a third-place finish in a division of the Eternal Camnation on August 25. Dave Menary trainee Quebec Blue Chip (PP2, Jody Jamieson) headlines the second elimination. A daughter of Sportswriter, Quebec Blue Chip is six for eight and riding a five-race win streak. Her victories during the win streak include divisions of the Champlain, Eternal Camnation and the final of the $163,840 Battle of the Belles. The Alagna barn continues their strong representation in the eliminations with Tall Drink Hanover (PP5, McCarthy) lining up in the second split. The daughter of Captaintreacherous is three for six with victories in a division of the Eternal Camnation and final of the Whenuwishuponastar Series. Sportswriter filly Deb (PP8, Trevor Henry) is the other Grand Circuit winner in the second elimination. The Dr. Ian Moore trainee scored an upset victory in a division of the Champlain last Friday. The Shes A Great Lady eliminations have been carded as Races 6 and 8. Post time for the eliminations is approximately 9:06 p.m. and 9:55 p.m.
Lazarus N’s visit to Canada has been extended by another start. ‘The Wonder from Down Under’ will compete in Saturday’s $34,000 Preferred Pace and has drawn post-seven in a field of nine. Trained by Jimmy Takter, Lazarus N suffered his first-loss on North American soil when he surrendered the lead in the lane and finished second to McWicked in the $600,000 Canadian Pacing Derby on September 1. The Pacing Derby has been Lazarus N’s only start since his North American debut on August 10. Takter noted after the Pacing Derby that the six-year-old needed some more North American racing experience. Regular driver Yannick Gingras will again sit behind Lazarus N.
Nirvana Seelster (PP5, Trevor Henry) is the only other Canadian Pacing Derby finalist in the field. American Wiggle (PP6, Louis Philippe Roy) captured last Saturday’s Preferred. The Preferred Pace has been carded as Race 9 and post time is approximately 10:15 p.m.
A special post time of 7:25 p.m. has been set for Saturday’s $2 million card. Doors open at 5:30 p.m. and the first 1,000 fans will receive a special commemorative postcard featuring Hambletonian champion Atlanta. Mohawk Park will also be serving a special drink named ‘The Atlanta’ in its various dining locations and $1 from each drink sold will be donated to the Milton District Hospital Foundation. The second annual New Owners Seminar will be taking place prior to Saturday’s card. The seminar is open to the public and anyone interested in learning more about racehorse ownership is invited. The seminar will start at 6 p.m. in the North America Cup room.